Is your email marketing strategy ready for the new rules of engagement? Do Your Emails Improve with Every Send? Email marketing is changing. The tactics that consistently delivered sales in the past won’t work as well in the future. Gmail’s tabbed interface makes it harder to get in front of your subscribers. Great subject lines can’t motivate people to open the email if they don’t see them. Yahoo and Microsoft are recycling addresses. This creates an environment where people who haven’t opted into your program may receive your emails. If this happens, expect a backlash of spam reports and opt outs. Email can do much more than generate sales. An optimized program also increases customer acquisition, improves retention, and reduces operational costs. 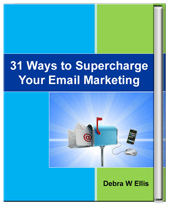 31 Ways to Supercharge Your Email Marketing shows you ways to create an optimized program without spending a ton of money. Many of the tips can be implemented in less than a day. Real examples are included to show you how marketers from other companies and non-profit organizations are optimizing their email strategy. Each example includes specific details that explain why the tactics work (or don’t.) Examples include emails from: Country Outfitter, March of Dimes, Famous Footwear, Coca-Cola, Lowe’s, No Kid Hungry, ebuyer.com, Volvo, Living Social, Travelocity and dozens more. There are even some examples of what not to do. While many of the examples are from retailers, the tactics can be applied for service professionals, non-profits, and B2B companies too. The guide is guaranteed to inspire you (or your marketing team) to move your email strategy from promotional messaging to a customer retention powerhouse. 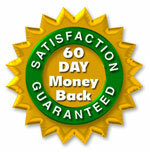 We are so confident that it will help your company grow, we are offering a 60 day money back guarantee. If you don’t find it helpful for any reason, just email us within 60 days of your purchase and we will issue a full refund. It’s that simple. So, why wait another minute? Buy your copy now so you can get started today! 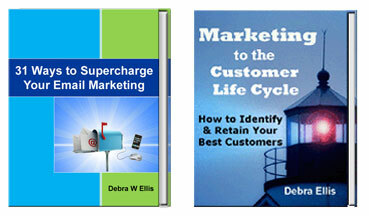 In addition to 31 Ways to Supercharge Your Email Marketing, this special offer includes a second ebook. Marketing to the Customer Lifecycle explains how to identify and market to the eight customer types in every business.